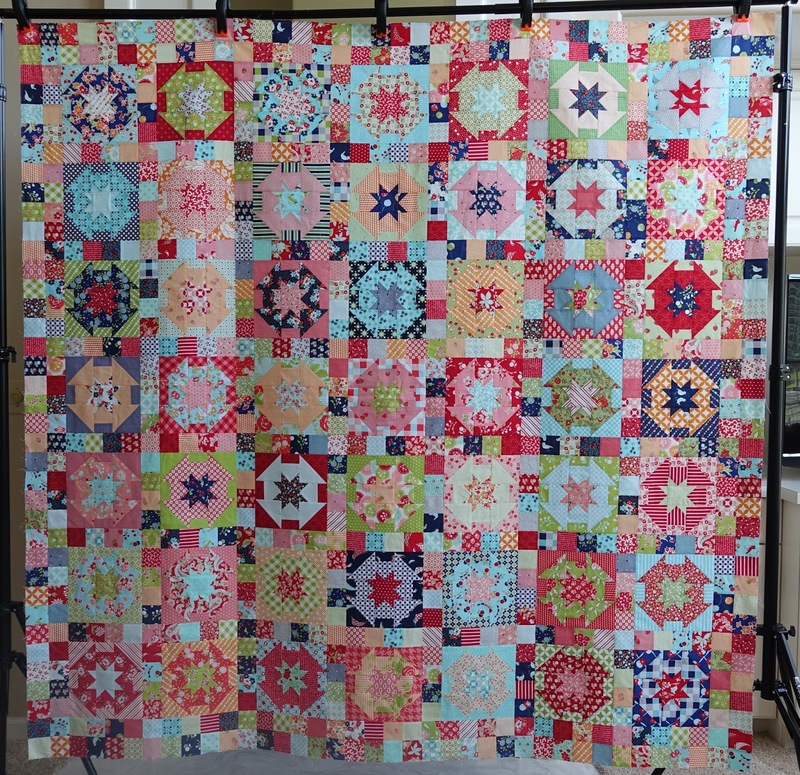 One of my goals for something like the last three years has been to piece a Kim Diehl quilt. I own every book she's published but just never found the right pattern at the right time to go with the right fabric, until now. The quilt on the cover just caught my eye, it's Pie in the Sky. A great pattern for my stack of Bonnie and Camille leftover fabric. 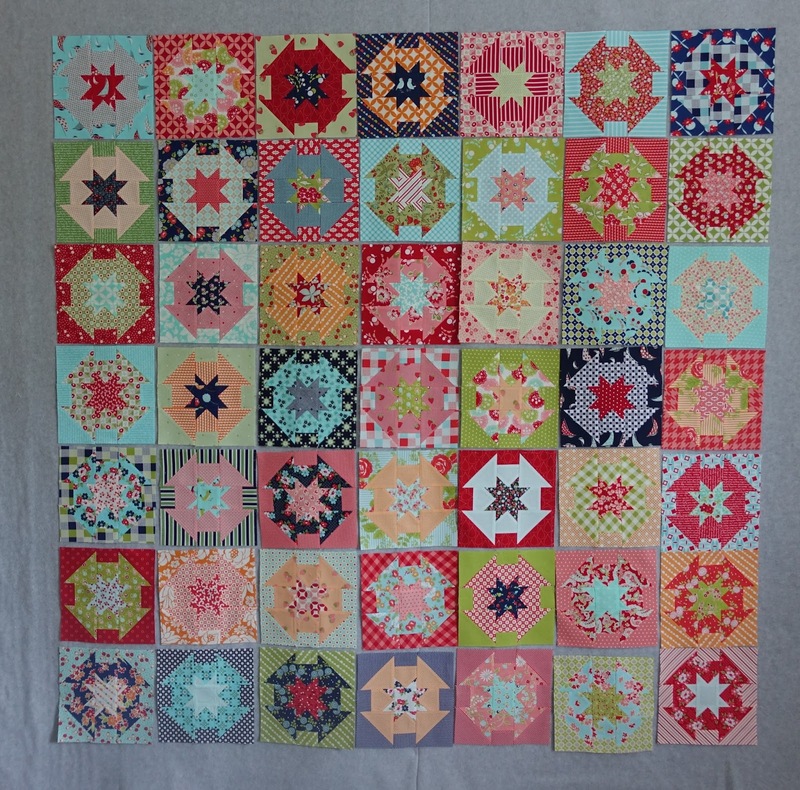 The pattern has 8 rows of 6 blocks, but I'm still in my square quilt phase so I went with 7 rows of 7 blocks. 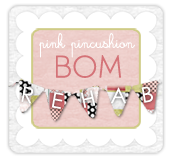 a little Happy Go Lucky, with a little Hello Darling and some Vintage Picnic,. It's very rare for me to piece a quilt with no background fabric, but this pattern just suited me. It finished at 76" x 76"
The pattern is Pie in the Sky by Kim Diehl from the Simple Graces Book. I've named it Wild Child. It has approximately 1,629 pieces. 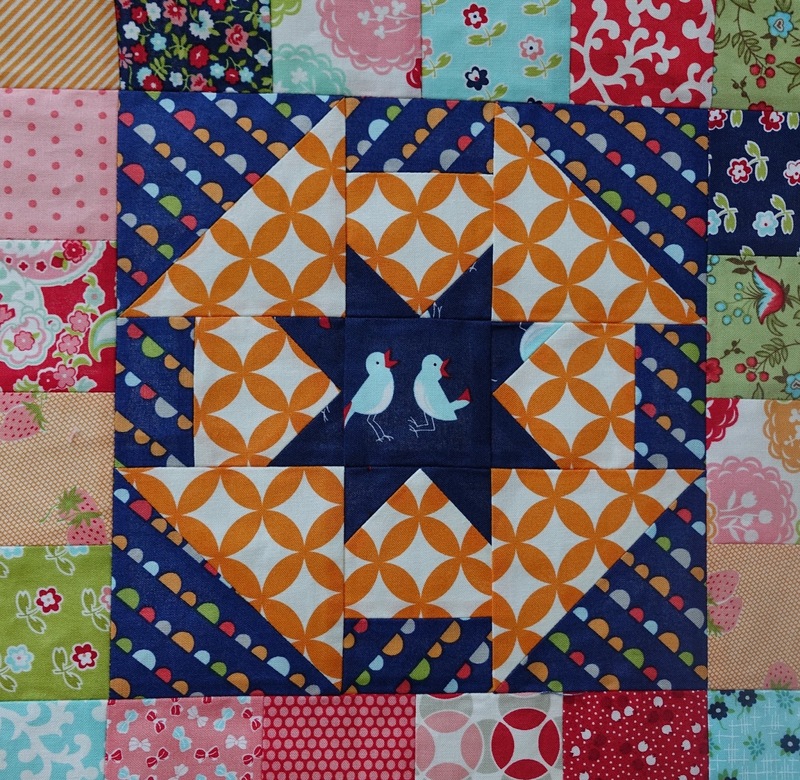 Wild Child - a great name for this quilt. Inquiring minds want to know, did this use up your stash of Bonnie and Camille or barely make a dent? I keep that a project will use up my stash of (insert fabric name here) but always wind up having plenty left so have to come up with another project, not hard though. You've been secretly sewing on us!!! Beautiful, Thelma. Love everything about this quilt! Just beautiful. Words cannot express how much I love this quilt! 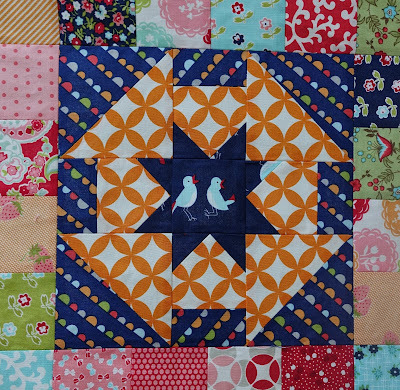 I love, love, love your quilt! WOW! This is phenomenal! 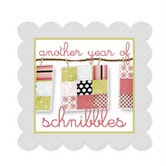 I love seeing quilts with no neutral background...it really makes it look scrappy. I must remember this effect! 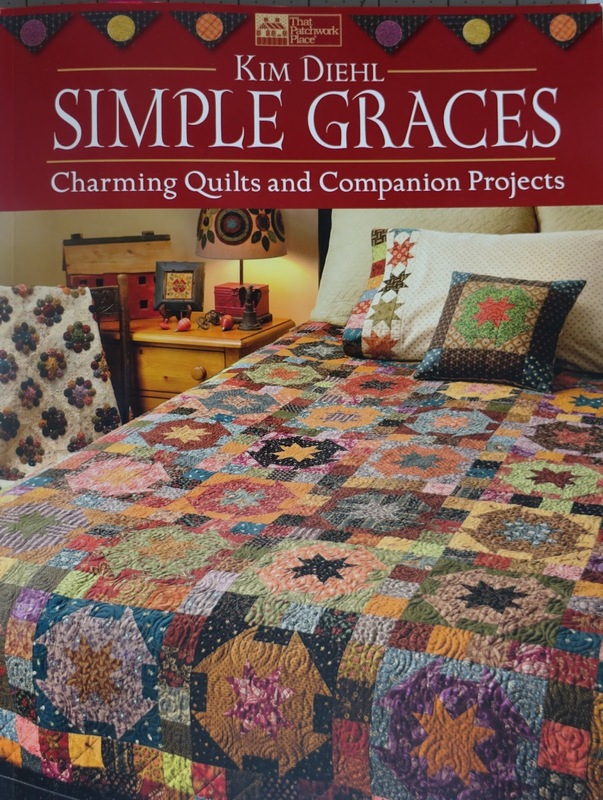 What a gorgeous quilt, I love all of Kim's patterns and have most of her books, but like you, I keep putting off making one. 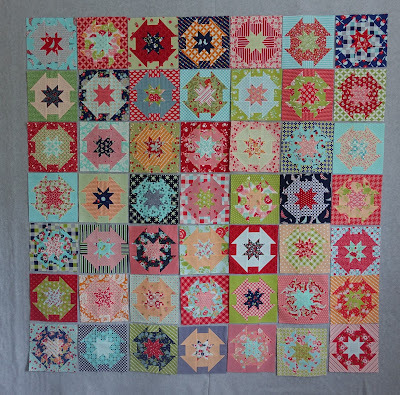 However, your quilt is wonderful inspiration, and I do have quite a few Bonnie and Camille fabrics. I LOVE THIS QUILT! 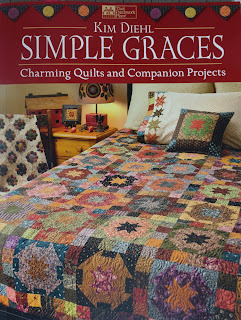 And I am also like you....I have Kim's books but have never made any quilts from them. Maybe this is the one! This is stunning! Love every block! Ever since I saw that quilt, I wanted to make one. It took awhile to find a copy of the book, but I finally got one. After seeing your quilt, I know that now is the time to start on mine. I love your quilt. Thanks for sharing. Love this quilt! I've had this quilt on my "to do" list for much too long. Hopefully this will be the inspiration to get mine started. What a fun quilt. Quilts made with a scrappy look are my favorite. Wow it is beautiful! What a wonderful use of your leftover scraps! !